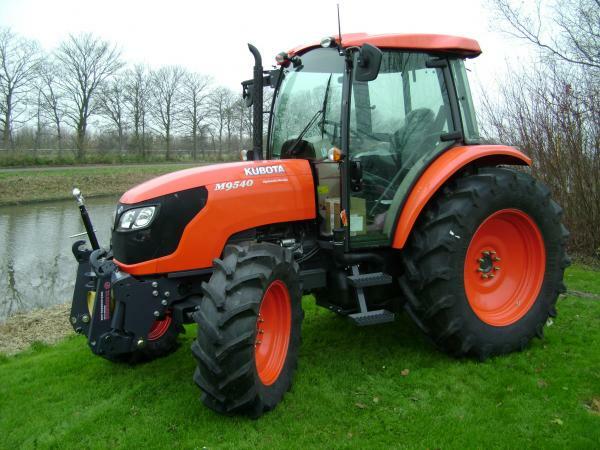 Are you looking for Kubota M9540 tractor price, features, technical specification? 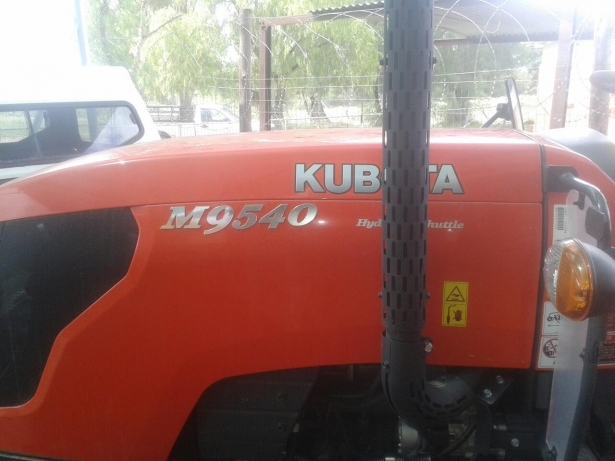 So don’t worry my friends here in this article I going to present all kinds of information about Kubota M9540 tractor mileage, price, engine, transmission system, hydraulic system, cab features, front loader functions, specifications, review, etc. That’s all kinds of information is reliable and genuine you can believe it because I write this article after long time research about this tractor. 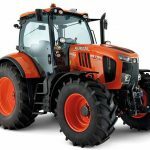 Kubota M9540 tractor is the new generation smart and stylish tractor. 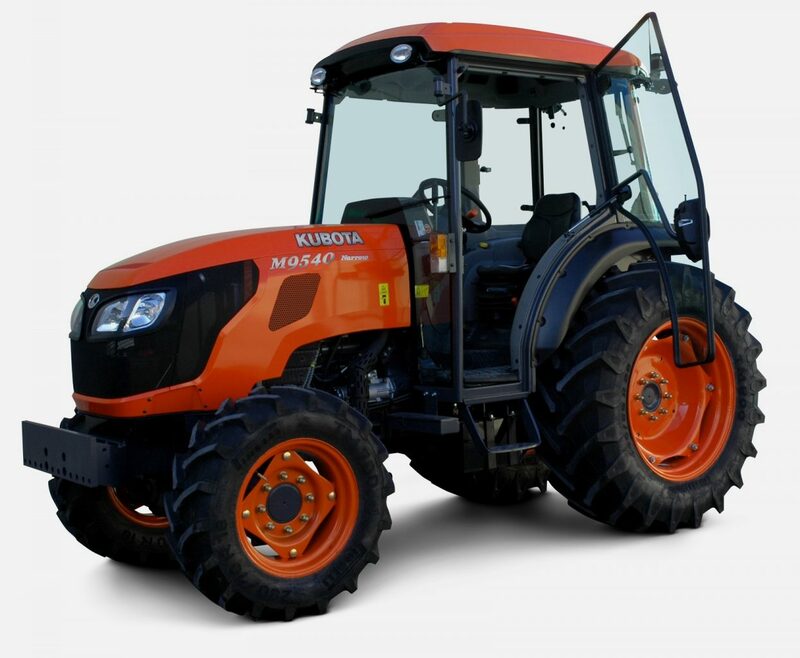 The Kubota M9540 is perfect for dairy and livestock farming, orchards and vineyards, and ploughing. Take one for a test drive and you’ll be satisfied. It’s more information for details, see below so let’s check it out. The Price of Kubota M9540 is $32,160 in The USA. 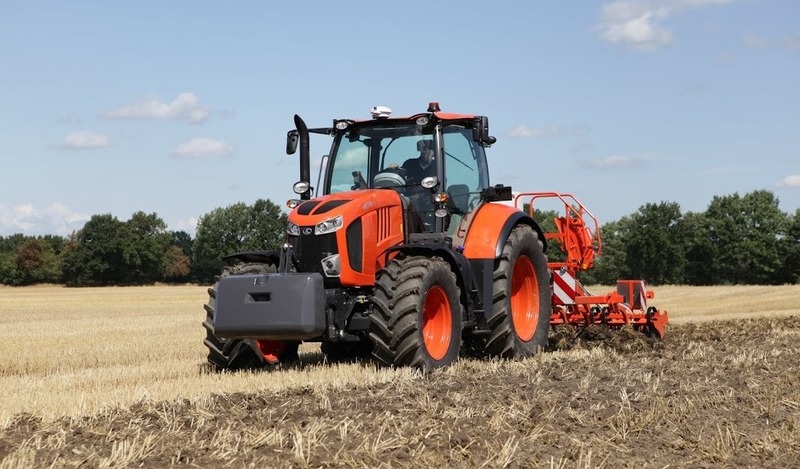 The Kubota M9540 tractor designed with the new V3800DI-T engine. This hearty diesel engine employs a reliable 4-valve, center-direct injection system to achieve maximum towing power. 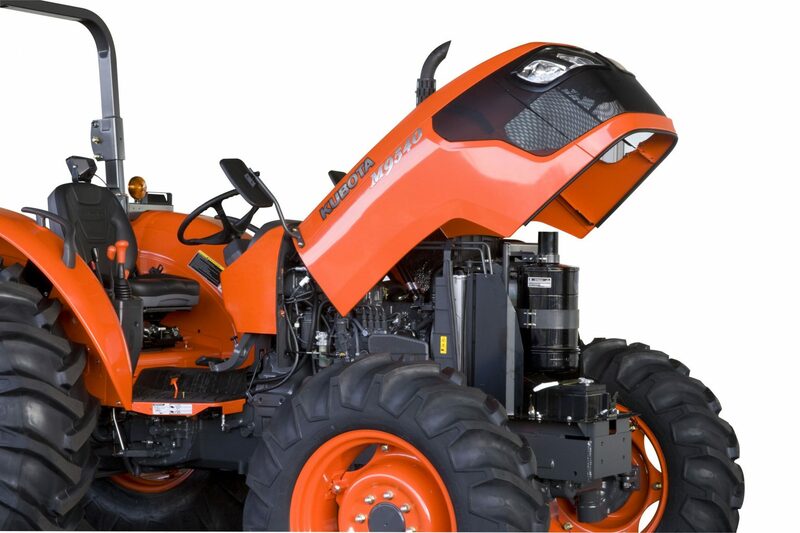 M9540 is equipped with Kubota’s revolutionary Center Direct-Injection system. The E-CDIS engine provides a rare combination of maximum power, durability, and better fuel efficiency. This engine boasts lower noise, which equates to less stress and fatigue after long work days. M9540 engine main features such as 4 cylinder diesel engine, PTO horsepower is 84HP, total displacement 3769CC, and SAE Net Power 94.5HP. 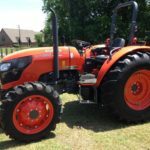 The Kubota M9540 tractor has an F12/R12 Transmission for heavy duty work such pulling, digging, plowing and heavy trailer applications. The hydraulic shuttle model of the M9540 can be factory equipped with the F12/R12 transmission. Its hydraulic shuttle makes shifting between forward and reverse smooth and quick. 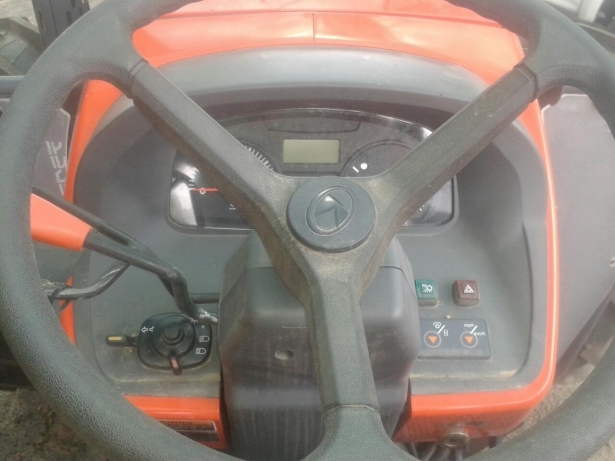 M9540 tractor has a transmission parking lock an easy to operate gear lock parking brake, located beside the main shift is now independent of the main brakes. Its brake lock is highly durable and reliable, providing precise parking on any terrain conditions. The M9540 also provide greater durability with a new, larger diameter The M9540 also provide greater durability with a new, larger diameter Cera-metallic clutch. The clutch diameter is 12.8in. (325mm) On the M9540. The hydraulic disc breaks decrease driver effort and increase the overall tractor longevity. The Kubota M9540 tractor gives you the power, durability and longevity take on just about any job you throw at them. The high 3-point hitch category 2 lifting capacity is 4100kg, and the 3-point hitch pump capacity is 64.3L/min. It’s floating lift roads are standard, that give a smoother ride and enhanced traction while using 3-point hitch, especially on uneven terrain. The standard 540rpm/1000rpm hydraulic independent PTO makes lifting, pulling, cutting or baling easier. This tractor has a hydraulic trailer brake system that is the most important feature that increases safety when pulling trailers. Its bevel-gear front offers greater all-around maneuverability. 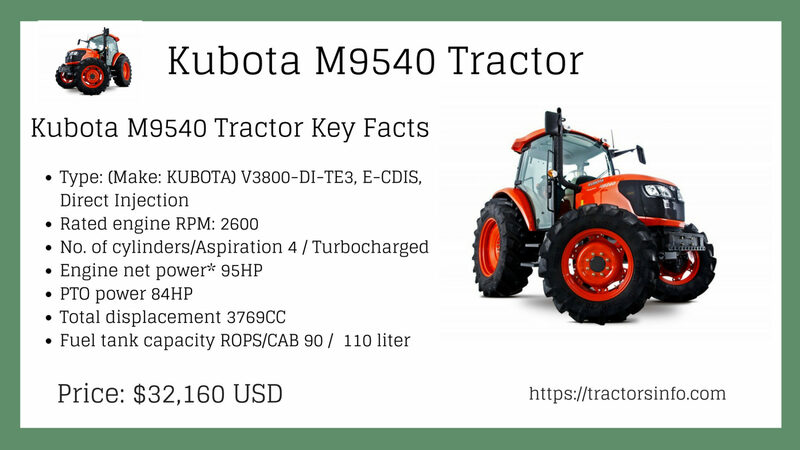 The Kubota M9540 tractor fuel tank capacity(ROPS/CAB) is 90/110 liter. The Kubota M9540 has a new LCD readout that makes viewing vital functions of your clear and easy. You can view tractor travelling speed, PTO revolution, and hour meter information digitally. A warning light and 4wheel drive indicator have also been added. 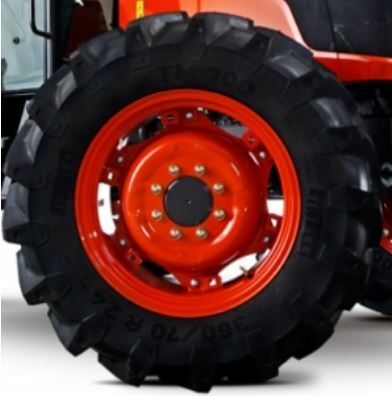 The Kubota M9540 Tractor Front tire size is 360/70R24 and Rear tire size is 480/70R34. Its tire is less slippage on the farm because it provides better grip on the farm and it is well suited for long time work. The Kubota M9540 tractor newly designed Grand CAB gives the operator more comfortable and more space year around the environment. It has a pantograph style front wiper that increases the visibility on rainy days and to increase the operator safety.That also provides a wider coverage area. The rounded glass is increasing the length of the cab by 50mm and the width by 160mm. This change offers the driver with more visibility and a more spacious feel—ideal for long days in the cab. 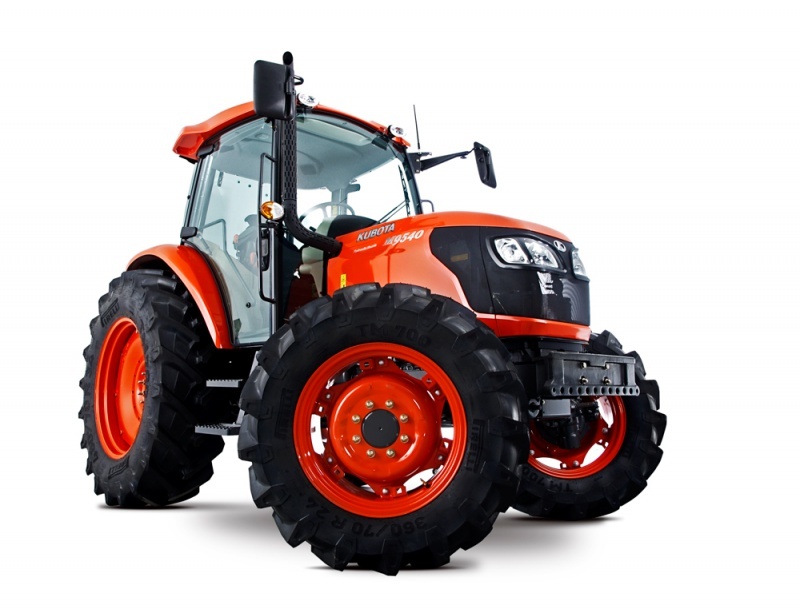 It is AC based tractor, and its air is circulated throughout the windshield to prevent icing, frosting and fogging. Its standard equipment such as front, halogen work lights, Front windshield wiper and washer, Rear halogen work lights, Interior dome light, External left and right mirrors, Sun visor, Cigarette lighter. 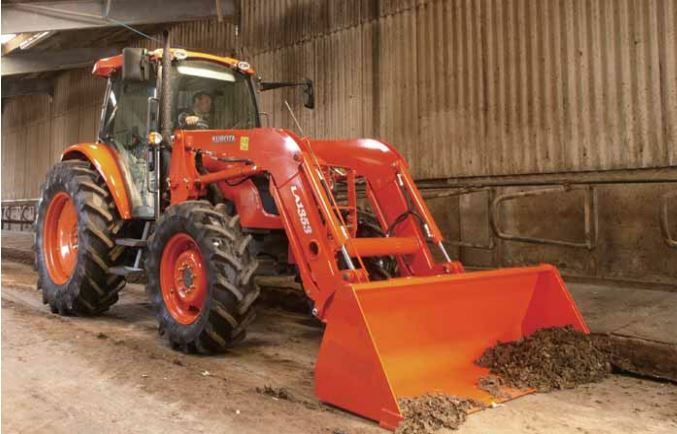 The Kubota M9540 tractor has an LA1353 front loader. The new front loader has dramatically increased loading power. That’s perfect for field use. The frame of the front loader manages it sturdy, thick steel frame, but its design has been simplified by displacing braces and connectors. It is designed with this feature such as Maximum lift height 3350mm, Maximum Dump Angle 64 degrees, Digging Depth 185mm, Reach maximum height 1149mm. Its Euro type quick hitch will let you quickly attach or detach a variety of Euro type attachment. The joystick provides you with the ability to control the movement and speed of the loader with a single lever. Front Loader Hydraulic Self-Leveling Valve allows the operator to increase or lower the loader boom while keeping the bucket level to the ground. It’s more specifications look on the front loader specification table. I provide a video about the Kubota M9540 Tractor, and you can see in this video Kubota M9540 that all parts working process and much more information, that is helpful to you for buy or sell this tractor. 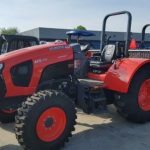 This is a stylish and lovely tractor that is well suited for farming and loading work, here in this article we are providing the latest and genuine information about this tractor. 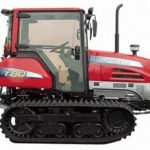 I hope that is helpful to buy this tractor but if you have any question about this post, then please comment in the comment box thanks for visiting our site. 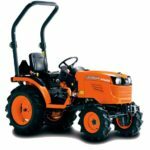 I’ve read your brief summary about the features of kubota m9540 and it seems to me that it’s the right model for my first agricultural farming adventure.To be honest I don’t know anything about tractors but i’m confident that with your knowledge and expertise you can help me in choosing my farm machine which enable me to be a successful farmer in the near future.I am looking forward for your advice.